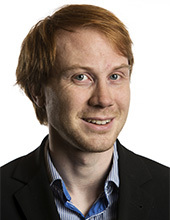 Tuve Mattsson is an assistant professor at the forest products and chemical engineering division and works within the Wallenberg Wood Science Center (a collaboration between Chalmers and KTH). His research is focused on solid-liquid separation and fractionation though membrane and dead-end filtration of wood constituents. Development of efficient separation methods such as these will be directly applicable in the biorefinery, which is a proposed replacement for today’s fossil based oil refinery. There might be more projects where Tuve Mattsson participates, but you have to be logged in as a Chalmers employee to see them.